Corneliu Baba did not joined the modernism of 20th century. He rather developed a sui generis style, somethimes considered unfashionably for a 20th century painter, focusing on what Baba himself cited, El Greco, Rembrandt, and Goya as particularly strong influences. I have asked myself so many times, as others have asked me too, why I am held in such thrall by El Greco, by Rembrandt, and by Goya… Rembrandt is the nearest to me. (quoted by Pavel Susara in his book Corneliu Baba, London: Parkstone, 2001. p. 123). Corneliu Baba favourite subjects were the psychological portrait, the harlequin, and the mad king. 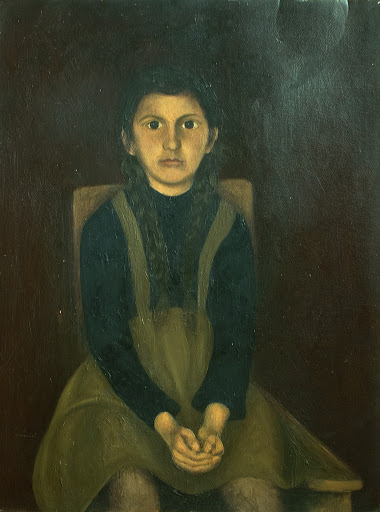 The present lot represent, probably, the most profound psychological child portrait in the history of Romanian painting.